The No. 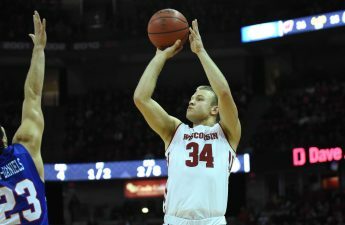 22 University of Wisconsin men’s basketball team (6-1) will travel to Iowa City Friday as they open up Big Ten play against No. 14 Iowa (6-0). 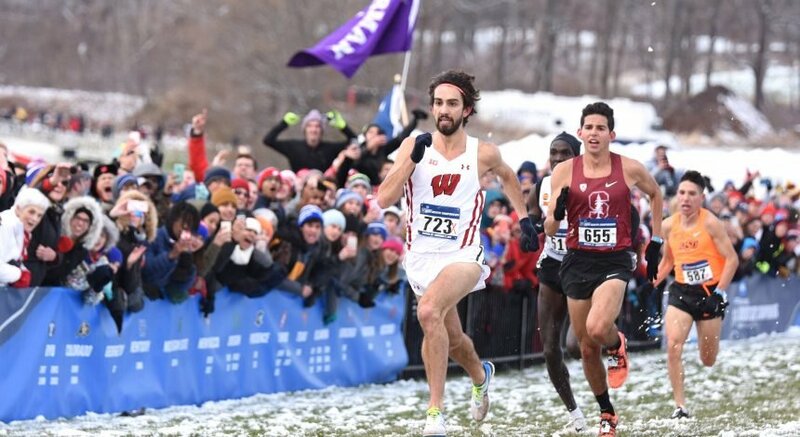 The Badgers are off to a hot start this season. Their 6-1 record is their best through seven games since the 2014-15 team, who opened the season with seven consecutive victories. Their fast start to the season hasn’t been due to lack of quality opposition either. In fact, Wisconsin’s four wins over major conference teams this season is tied for top in the country, matched only by No. 3 Duke. However, after escaping Madison with a hard-fought win over NC State Tuesday they will face another stern test in Iowa, who is currently ranked No. 14 in the nation. Iowa has yet to suffer a defeat this season, with wins over Connecticut and No. 13 Oregon in the 2K Classic as their most notable victories. Wisconsin has been shooting the lights out from three-point range this season, currently hitting 43.8 percent of their attempts from beyond the arc as a team, which tops the Big Ten and makes them 8th in the country. A big factor in that high percentage has been the deadeye shooting of redshirt sophomore guard D’Mitrik Trice, who has made 24 of his 40 three-point attempts. His impressive 60 percent three-point percentage leads the Big Ten and ranks second in the country for those with 30 or more attempts. The quality shooting of Trice and others from the outside also helps the likes of reigning Big Ten player of the week Ethan Happ on the inside by creating more room for the big man to work. “You make a couple threes, that spreads the defense out, you can’t give as much help,” head coach Greg Gard said. 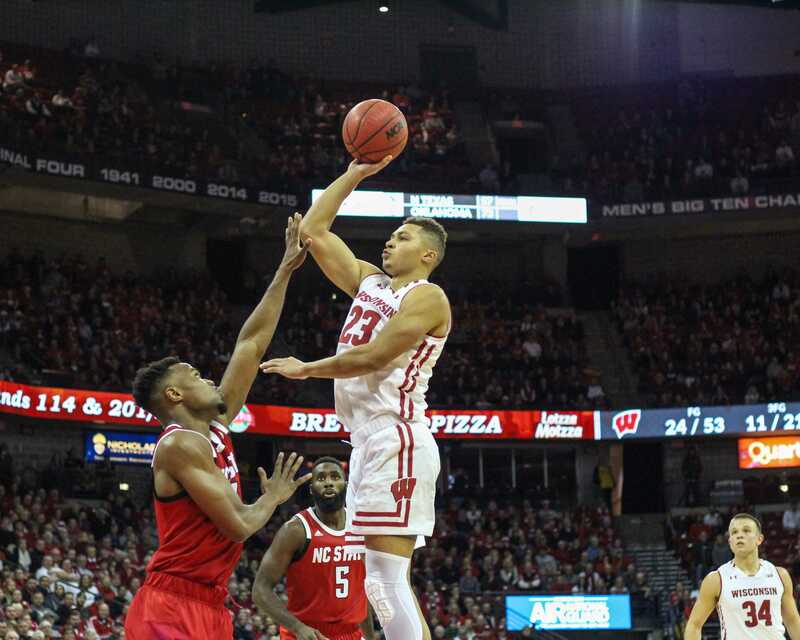 Despite their prolific shooting, continued success for Wisconsin will rely heavily on their performance on the other side of the ball, with defense a continual point of emphasis for the Badgers. Come Friday, their defense will be tested once again. Iowa’s main threat includes their pair of forwards, Tyler Cook and Luka Garza, who lead the Hawkeyes in scoring with their 14 points per game. 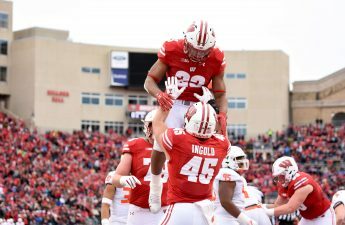 The Badgers will look to continue their recent success against Iowa, having won six of their last seven games against them, including three victories in Iowa City.